Marianna Truss, Inc. of Marianna, FL, is a truss and modular home supplier for the Florida Panhandle area. Building Quality Trusses Since 1985! 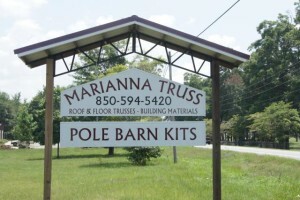 Marianna Truss, Inc. is a Truss Systems and Pole Barn supplier. Since its establishment in 1985, Marianna Truss, Inc. has been supplying Roof and Floor Trusses for new construction, remodeling, and repair jobs for both residential and commercial customers throughout the Florida Panhandle area. We take pride in providing our customers with professional services and look forward to continuing to serve our community for years to come. 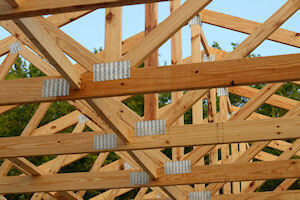 If you are in need of trusses for your next construction project, please contact us today. We look forward to helping you.